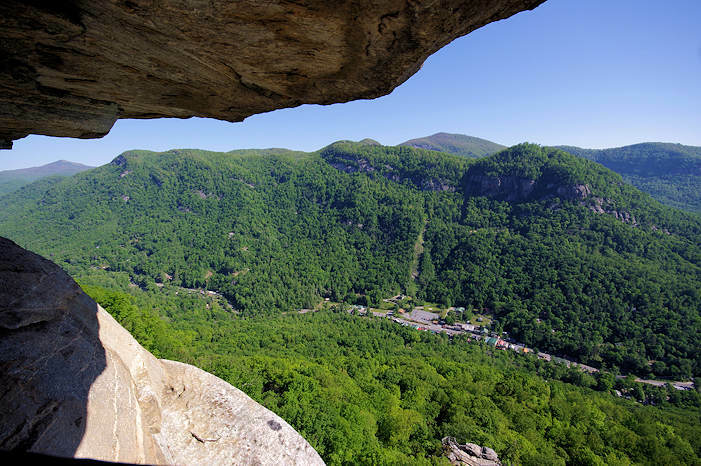 Linville Gorge is one of Eastern America's most scenic and rugged gorges, created by the scouring action of the Linville River. Sometimes it is referred to as the "Grand Canyon of Eastern USA." 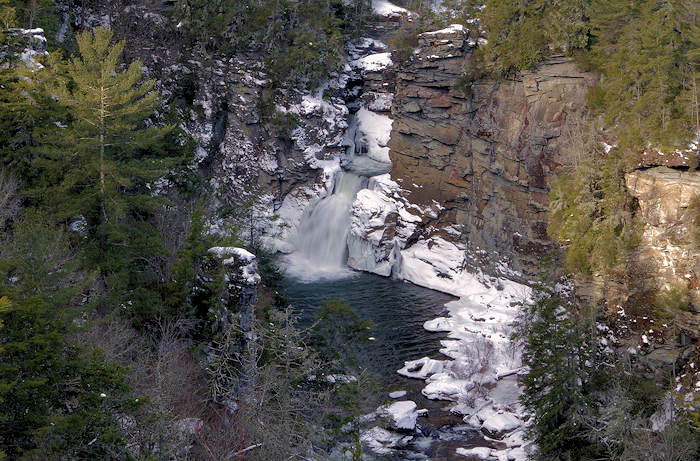 The steep walls of the Gorge enclose the Linville River for 12 miles. Elevation ranges from 4,000 ft. atop Hawksbill Mountain to 2,000 ft. at the river on the valley floor. 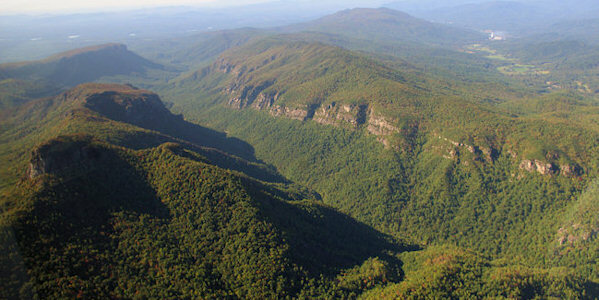 The 12,000-acre Linville Gorge Wilderness Area in the western North Carolina Mountains is part of the Pisgah National Forest. Located in Burke County, the Gorge is so rugged that it was spared the clear-cut logging that was happening in much of the eastern forests after the turn of the century. Hike and camp in the Gorge’s virgin forest with spectacular overlooks, including iconic Table Rock and Hawksbill. See our favorite hikes below. Since this is a federally-designated Wilderness Area, trails are not well maintained and are usually signed only at the trailheads. Plus, there are many side trails to campsites and rim views. Many hikers get lost each year (and cell phone reception is very spotty). The great news is that you can enjoy the spectacular views with several short, well-used trails that are easy to follow. Some forest service roads close January-March. 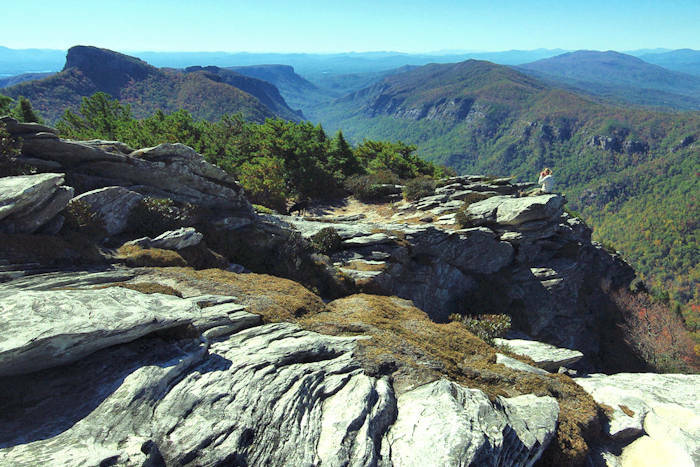 For one of the most spectular vistas (pic above), head to Wiseman's View on the western side of Linville Gorge (looking across to Hawksbill and Table Rock). 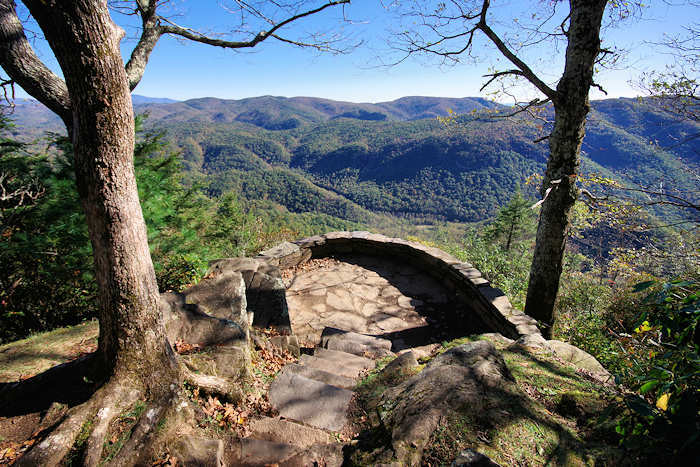 Located just a few miles from the Linville Falls Pisgah National Forest parking area, there's an easy 2/10-mile paved trail to the view. See our Wiseman's View Guide. Hawksbill and Table Rock (on left) from the air. Trails on both rims of the U-shaped gorge lead down to the river, and the descent is steep. The Cabin Trail on the west rim drops almost 1,000 ft. in elevation in 3/4-mile. 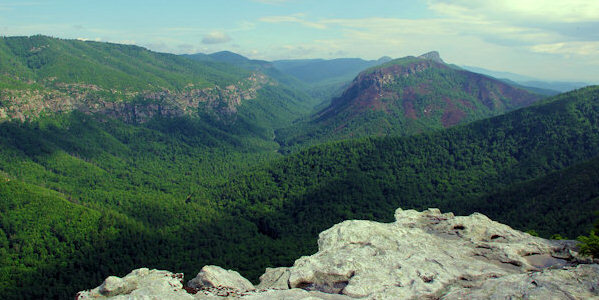 The Linville Gorge Trail is the major connecting trail. It parallels the river on its west side for about 12 miles. On the west rim, seven trails descend from the access road SR-1238 (the Kistler Memorial Highway) to the Linville Gorge Trail. On the east rim, three trails lead from Forest Road 210 to the river, and only one of these, Spence Ridge, receives regular use and maintenance. Trails also lead from Forest Road 210 to Table Rock and Hawksbill Mountains. On the south side of Linville Gorge are Lake James State Park and the spectacular views from Shortoff Mountain (pic above). Linville Gorge is formed by Jonas Ridge on the east and Linville Mountain on the west, and is bisected by the Linville River, which drops into the valleys below. Interesting rock formations located on Jonas Ridge include Sitting Bear, Hawksbill, Table Rock and the Chimneys. It is covered by a dense hardwood/pine forest and a wide variety of smaller trees and other plants. Recreation include hiking, backpacking, rock climbing, fishing and hunting. 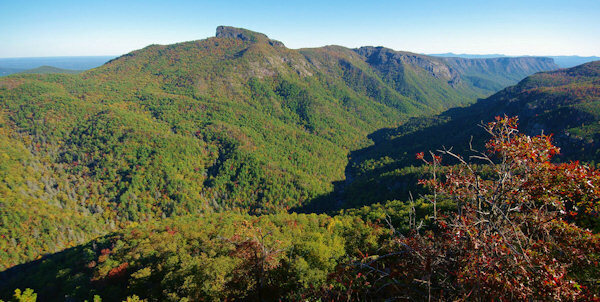 The wilderness of the Linville Gorge is rich in both plant and animal life. There are five species of rare plants, several varieties of rhododendron and virgin forests in the deep coves. The rugged terrain has always made development difficult, and the wilderness designation now prevents development in the gorge. Sand myrtle, red chokeberry, azalea, turkey beard, bristly locust, yellow root, silverbell, orchids, ninebark and wild indigo are among the many plant species. Animal species include deer, bear, squirrel, raccoon, grouse, turkey, vultures, owls, hawks, as well as brown and rainbow trout. Hikers should also be wary of copperheads and timber rattlers. Hunting and fishing are allowed but permits are required. Camping is permitted in the gorge but permits are required (read more below). It is always a good idea to check in with the rangers and let them know you are going into the gorge. 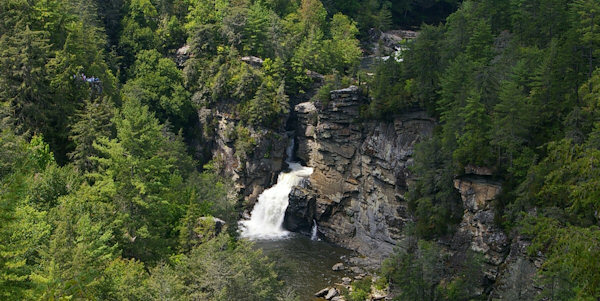 We highly recommend a stop at the Linville Falls Visitor Center on the Blue Ridge Parkway, open mid-April through October, 9 AM-5 PM (with hiking to multiple views of the waterfall). The Center is well stocked with maps, and the rangers are a great source of "inside" information about the gorge. Also on the Blue Ridge Parkway, see Linville Gorge from Chestoa View. A free camping permit is needed on weekends and holidays from May through October. To limit the number of humans in the wilderness area, only 50 permits are given. 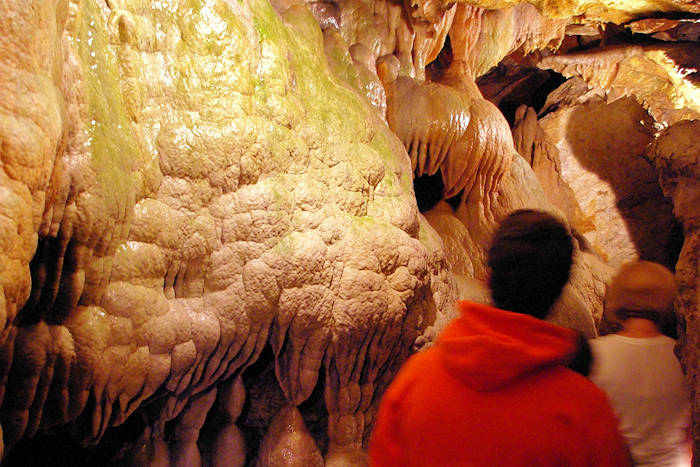 Each visitor or group may receive one weekend permit per month and may stay up to 3 consecutive days and 2 nights. Reservations are first-come, first-serve beginning the first working day of each previous month. For example, reservations for wilderness camping permits for June are accepted starting the first working day of May. Permits are limited to 35 by reservation and 15 by walk-in. Permits are issued form the District Rangers Office (contact info below) by mail or in person. Day use permits are not required. There's also an information cabin located just off of Kistler Memorial Highway. There are black bears in this area, so see our Bear Safety Tips for camping and hiking.